"My Q6 Edge Power Chair helps me so much in everyday life. And it helps me get to and from my classes." 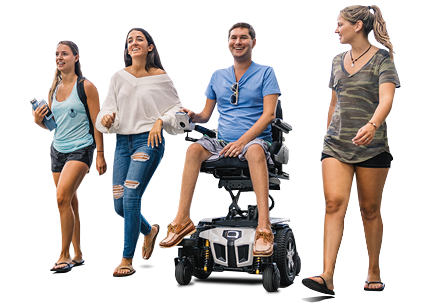 As a college student, Alisha Tinker uses her Q6 Edge® Power Chair to get around campus, and enjoys an active lifestyle off-campus as well. Attending college presents a lot of challenges. For 30-year-old Alisha Tinker, the challenges are often bigger. 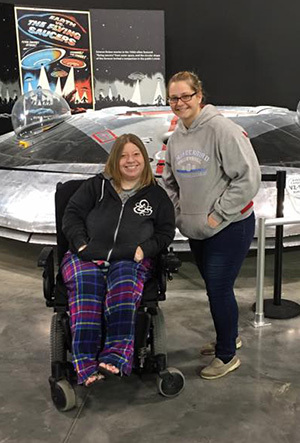 As a student at Wright State University in Dayton, Ohio, Alisha relies heavily on her Q6 Edge® Power Chair. “My Q6 Edge Power Chair helps me so much in everyday life. And it helps me get to and from my classes,” said Alisha. Her disability doesn’t slow Alisha down. She loves exploring different parts of the Dayton area. “My chair does a good job of handling all the terrain,” Alisha said. Alisha and her friend, Jenny, like to do different things together. “It could be as simple as sitting outside and talking, or finding a new adventure to go on. My chair keeps right up,” Alisha said.